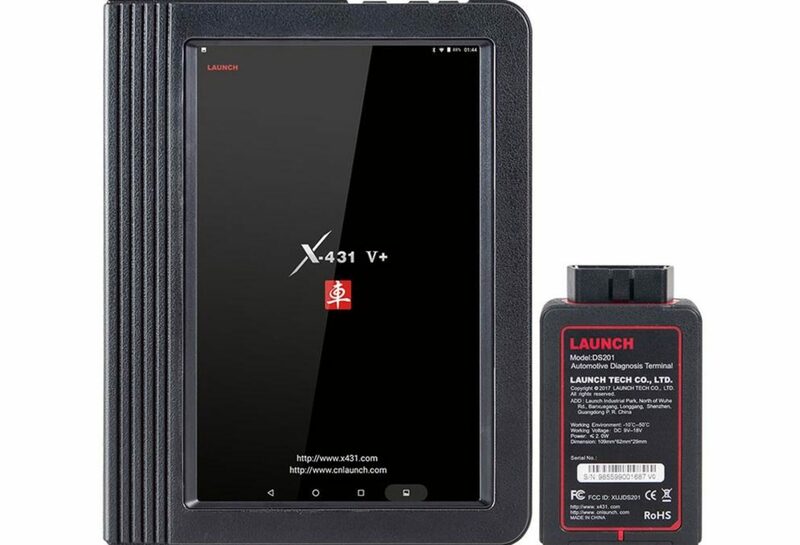 Several days ago, X431 V + (pro 3) Plus Heavy Duty module price drop down. Then what it can do really? Is it worth the money? Read the users’ reviews will be very helpful. I am a foreman at a Diesel repair shop in Dallas Tx. We work on everything , we do have many programs to read and diagnose diesel and pickups that have issues, more systems with DPF systems. We work on Mits fuso, fm 260 and others , Ud, Cummins, Detroit,Renult, Mack, duramaxx, Maxxforce, Dt 466,dt 9, 10, Ford,,, I can read codes, do more functions, injector test, with this I can SEE DPF TEMPS, SOOT, EGR. NOW I CAN SEE MITS FUSO, UD, FORD medium truck, now I can see the problem is and fix it and show the customer what’s going on with their engine. Print and let them see the report. We were surprised at work with this scanner and I AM VERY PLEASED . Now the other guys want to use mine , which IS MINE ! If you want a really good scanner which you can update, BUY this one! Bought this Launch X431 V Plus + Heavy Duty Module. The small vehicle side has been very good. I mostly used it on chevys and fords so far to diagnose several abs issues and also some engine codes. also plugged into several Hondas ,Nissans, Toyotas, and a VW or two. On every single vehicle it had a lot of capabilities, datalogging, separate module actuation tests as well as code reading capabilities on multiple different modules in each car. It even had reflashing and recalibrating abilities on most of the vehicles. I dont really have any experience with snapon but I do have some with autoenginuity and I would say this tool is better than that. I was actually able to command a regen on an 08 powerstroke that an autoenginuity program for whatever reason could not. I also bought the HD module with this scanner. I was not as impressed with that and I was not able to try it out as much but it does have some potential. The Cummins program is really good. It should have dpf regen capabilities. I was also able to set ecm to activate the jake brake with the cruise on on a friends semi,so it does have some ecm reset abilities . The Allison program looked really good. Detroit was satisfactory as well. I believe it has dpf regen capabilities. CAT I was able to read codes on the one bus I plugged into which was actually better than Launch had promised but that was all I was able to do with it. Launch says the program is only for CAT heavy equipment applications not for semi engines. It would not connect with the Maxxforce engine in the International buses I plugged into and also not with the brake systems either wabco or bendix. Leoglobal informed me Launch does not have programs available for those applications. It did identify the systems at least.So the International program is apparently only good for older applications and some instrumentation. I am anxious to see how it will work on mercedes, volvo, mack . and some other overseas engines since the software does seem to work better on nonUS vehicles. The tablet, X431 program, and Android operating platform are very easy to use and I like the ability to simply use it as a tablet if I want to. Overall I am very happy with what I got for the price. I would not hesitate to recommend this tool to any shop working on small vehicles. I would probably not buy the tablet and HD module just to work on heavy duty trucks but to use it as a scanner for both light and heavy duty applications as I am hoping to I think it is well worth it. I also highly recommend Cardiagtool.co.uk . They gave me prompt and helpful responses with the problems I had with downloading the software. 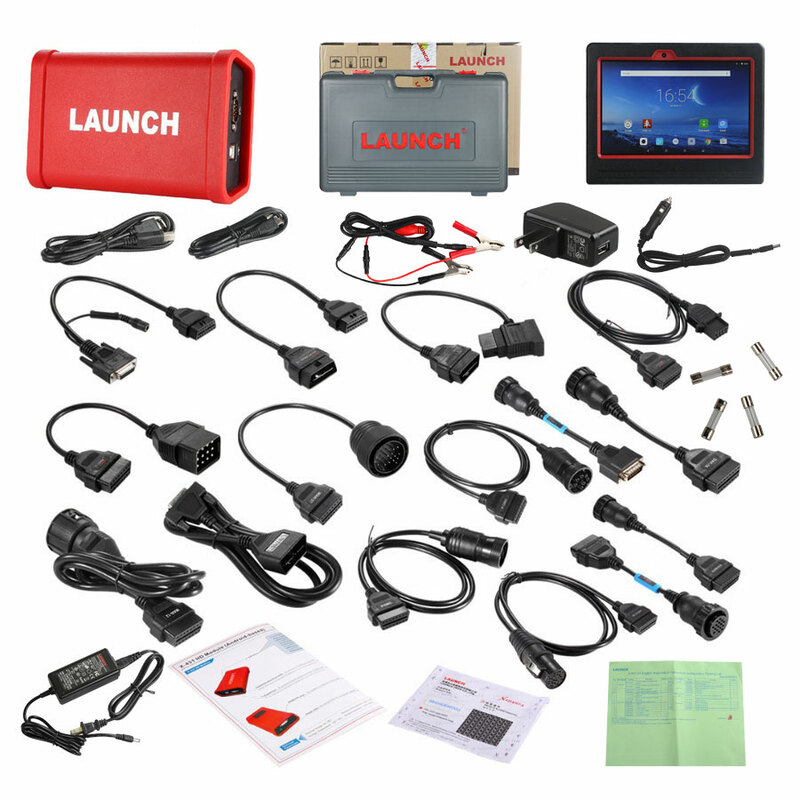 I attach a picture of Launch X431 V+ plus heavy duty full package (from the seller), you can have a clear view on what it contains, their site has package list.